Wireless routers have become a staple in today’s society. They are in businesses, home offices and anywhere else you find wireless internet. With a wide variety of devices on the market, choosing the best VoIP router can feel daunting. When it comes to VoIP (Voice over IP), you will need a router that is fast and compatible with your hardware. Is it faster internet speed or network protection? Maybe you’re a power user or it’s time to trade up from a single-band router to a tri-band device? Whatever you’re looking to do, we’re sure you’ll find it on our list. Feel free to jump right to the different types of routers and router features sections below. We’ve combed through the vast number of routers online and compiled the 10 best VoIP routers to buy in 2019. Along with our choices, we’ll cover what each router excels at and its best uses. Of course, our list is not exhaustive. However, these are recommendations based off customer feedback. As always, it’s essential that you carefully pick the router suited for your needs. 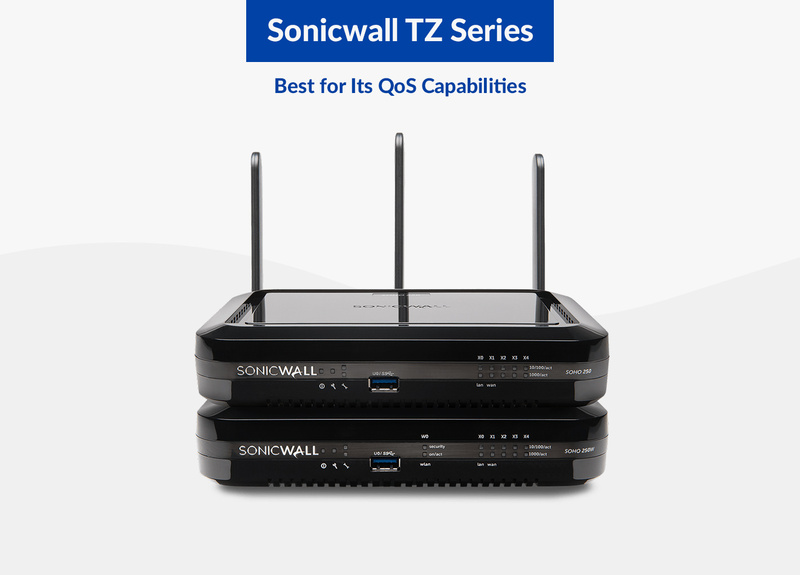 The SonicWall TZ series offers a perfect security solution for SMBs. It combines software-defined wide area networking technology and high-speed threat prevention. The TZ Series offers an extensive range of wireless features and networking. Its centralized management provides an easy to work security solution. Centralized analytics, licensing, management and reporting are available through accessing a security center. Its sleek design adds to its appeal. 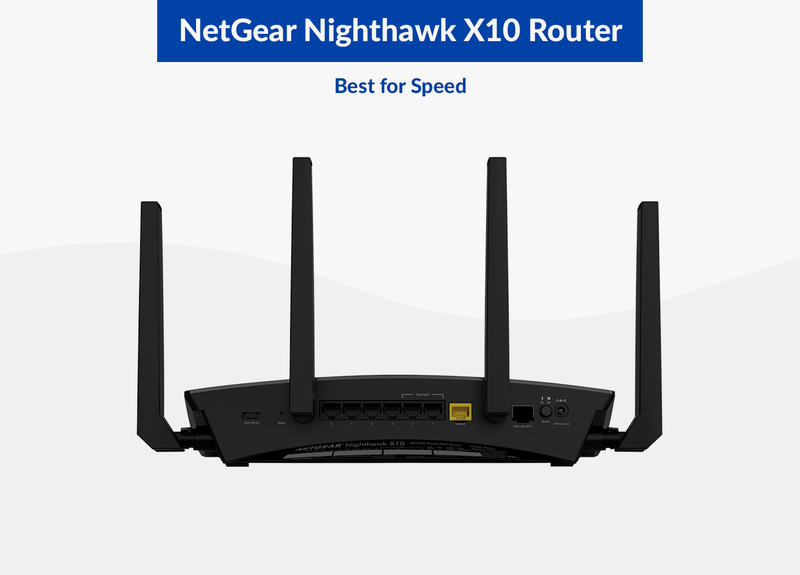 If you want fast Internet, the NetGear Nighthawk X10 is the router for you. For media streaming, the X10 remains the industry’s fastest router. It continues delivering 802.11ac/ad Wi-Fi for instant downloads and 4K streaming. The Nighthawk hardware offers exceptional wireless performance. This helps users enjoy wireless speeds up to 7.2 Gbps. Additionally, the Nighthawk X10 has four external antennas to boost Wifi signals. Most computer users or enthusiasts know of the gaming company Asus. They have top-of-the-line gaming hardware and various high-end VoIP routers. The RT-AC88U is one of those AC3100 routers that comes with 8 Gigabit LAN ports. The router’s WiFi performance for the 2.4 gigahertz and the five gigahertz bands remains fast. This makes it the perfect router to experience reliable, clear calls and videos. This VoIP router is also good for its quality of service, but we saw mixed results with specific versions. With that said, Asus has designed the web interface that is intuitive and easy to use. 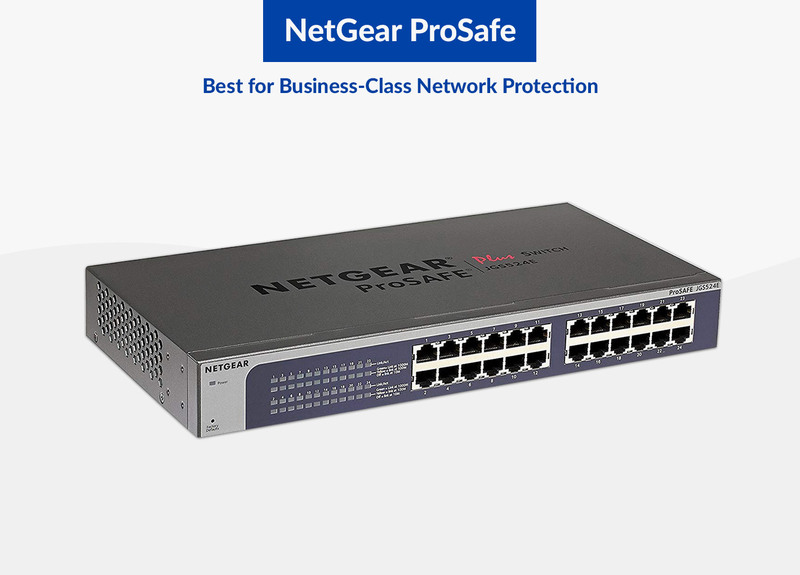 NetGear ProSafe business-class VPN firewalls are high performing routers. They deliver five types of protection for your business. They also provide fully secure network access between locations. This makes them ideal for organizations that may be handling sensitive information. Models with many WAN ports can operate in a failover configuration or load-balancing. The load-balancing configuration enables the router to distribute traffic across two broadband connections. It is also possible to use different internet service providers. 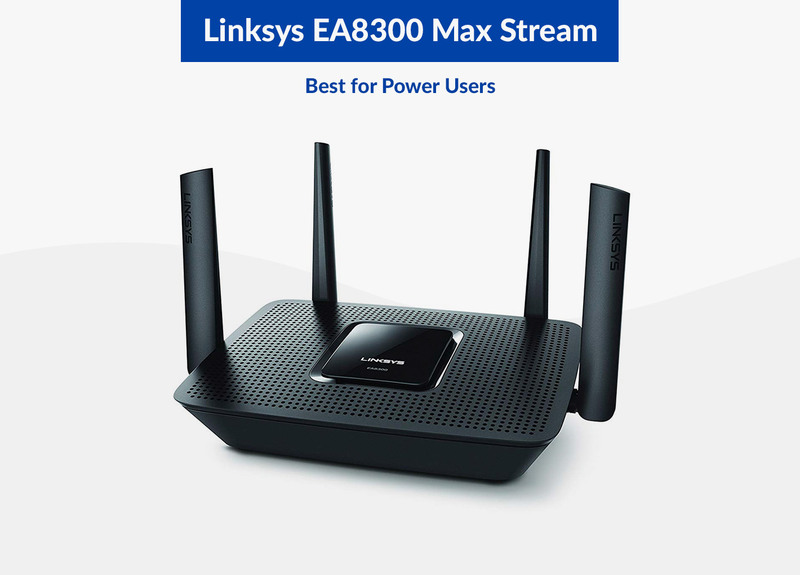 The Linksys EA8300 Max Stream is an active tri-band router. It offers multiple ways to customize its features for the best performance. You can use it to track network use and share wireless signal between devices. It can also prioritize data allotment between media and other applications. The router can be managed manually and automatically. At home or on-the-go usage is possible and why the Linksys EA8300 Max Stream is great for a power user. Having trouble with your router? Check out our all new VoIP Troubleshooting guide! This router series is ideal for home offices, small businesses and enterprise branches. These routers deliver threat protection and integrated security. They are perfect for network defense and prevent vulnerabilities and attacks. Additionally, the security suite includes SLA monitoring, verification and configuration management. It also comes with a four-port managed switch. 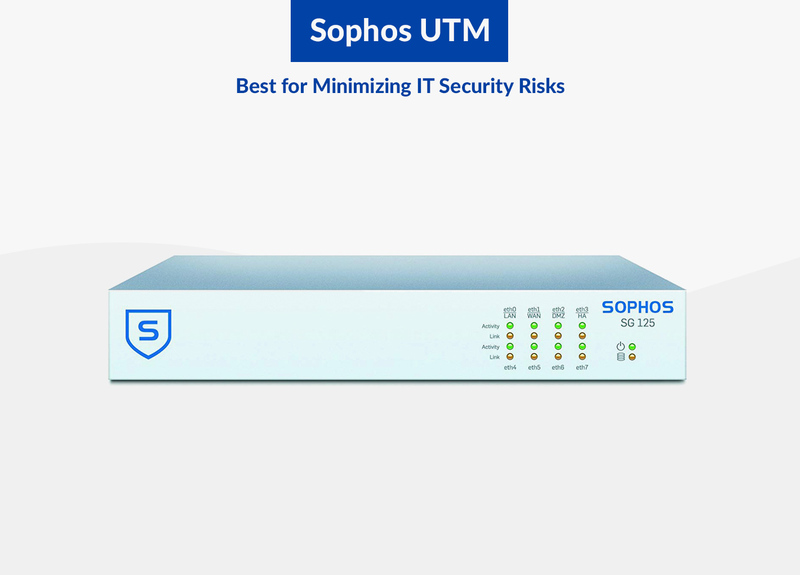 Sophos UTM supplies the ultimate network security package in a single modular appliance. Its intuitive interface can rapidly create policies to help control security risks. The interface includes bright, detailed reports to help you understand its policies. 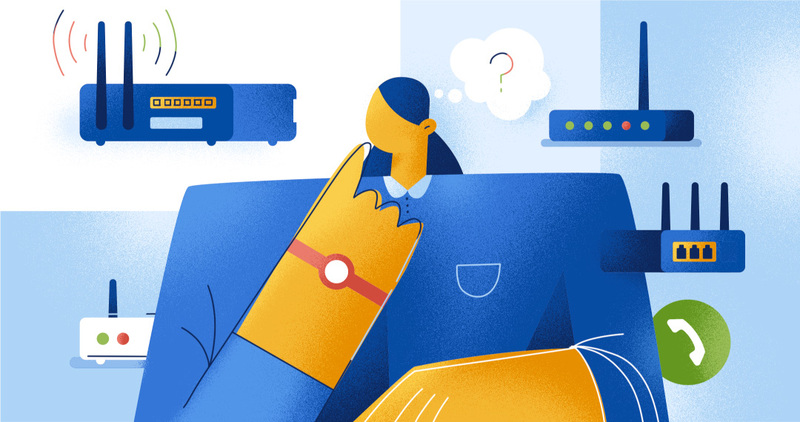 With the Sophos UTM, you’ll have a consolidated network security platform. You are protecting your network using multi-layered protection technologies. That protection includes Advanced Threat Protection and web filtering. Best of all, you can choose the level of protection with modular subscriptions. Business operations today are more mobile, more global and more dynamic than ever. 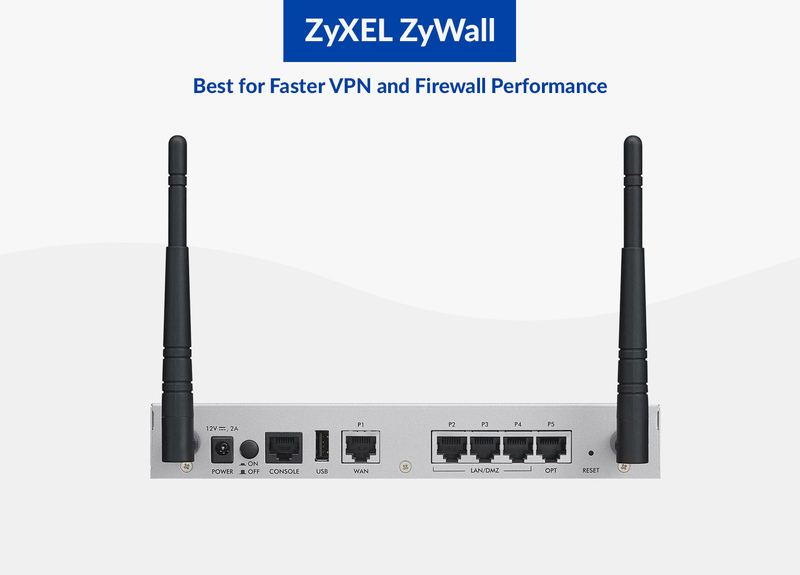 To meet this demand, ZyXEL has introduced the all-new VPN Firewalls. These Firewalls are business-grade. The new ZyWALL Series VPN Firewalls have multi-core CPUs. Thus, they boast the fastest VPN and firewall performance on the market. 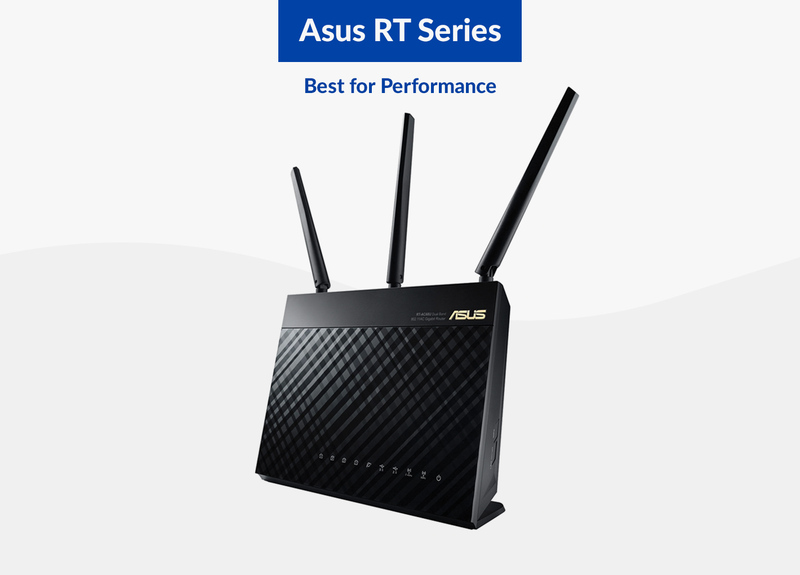 These routers come guaranteed with up to 6 Gbps firewall and 800 Mbps VPN throughput. 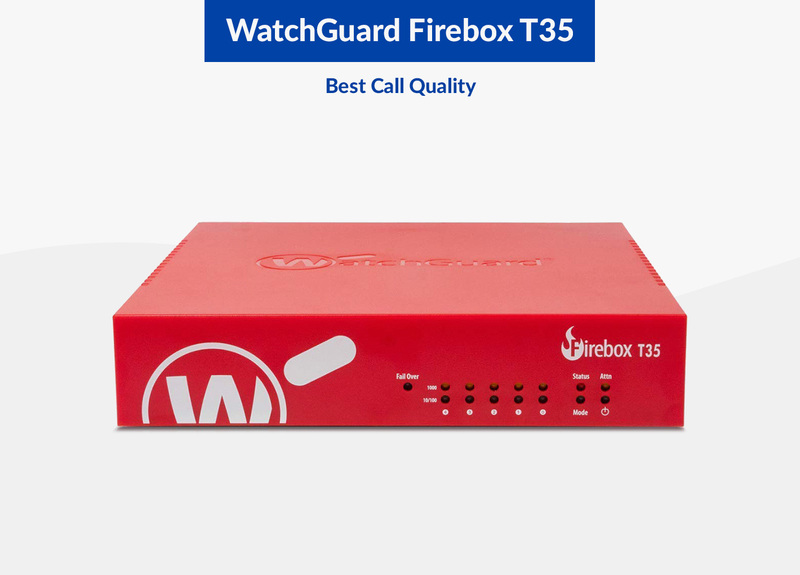 WatchGuard Firebox T35 matches today’s lightning-fast internet connections. 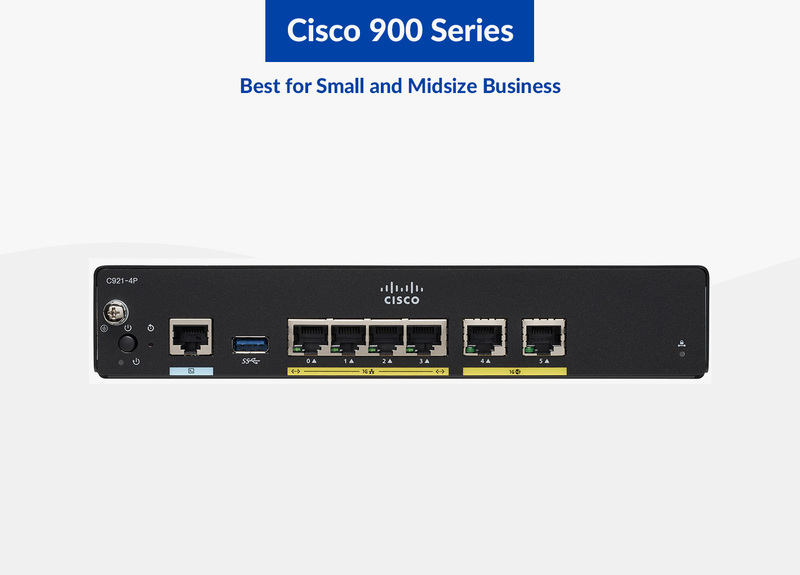 It’s designed for enterprise-level security but intended for small and midsize companies. Its super fast connection compatibility allows the VoIP router to offer expert-level security. This while still offering very clear calls and videos. The central interface allows you real-time visibility into a network’s security events. Additionally, its management tools give users complete access to an intuitive console. The router includes five ethernet and one PoE+ port to power any other devices you may need plugged in. 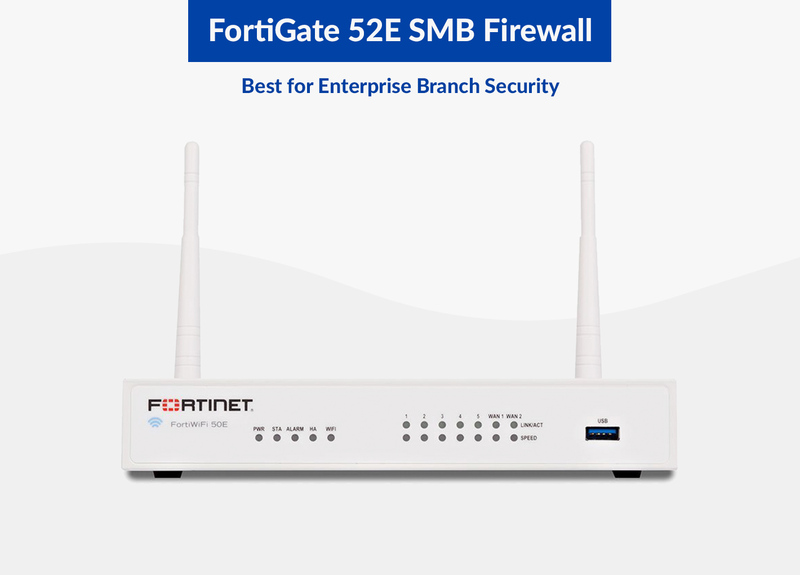 The FortiGate 52E uses continuous threat intelligence to shield against malicious websites. The router can detect unknown attacks using dynamic analysis. It also provides automated mitigation to stop targeted attacks. The router also offers high-level networking capabilities. This allows it to merge networking and security functionality. It also enables flexible deployment such as UTM and Secure SD-WAN. A predefined security checklist allows it to improve security. This makes it the ultimate router for enterprise security. There are three types of routers: single-band, dual-band and tri-band. Once the network cable gets plugged into a router, it transmits an internet signal to devices. That radio wave signal will travel across one of two frequency bands: 2.4 GHz or 5 GHz. Those frequencies differentiate a single-band router from a dual-band and tri-band router. A single-band router operates on one frequency band—the 2.4 GHz frequency. Older, single-band routers operate on the 2003 – 802.11g standard which caps data speeds at 54 Mbps. Most iPhone 3G and 3GSs smartphones operated under that standard. Some single-band routers operate on the 802.11n standard aka “Wireless-N.” Those routers are running on a 2.4 GHz band which only offers speeds up to 800 Mbps. But, most will not see these speeds daily due to internet service limitations. Dual-Band routers will support the 2.4 GHz Wireless-N standard and the 5 GHz, frequency band. With 5GHz connectivity, you have a stable and faster connection. This is beneficial if you live in a large apartment complex or densely populated city. This also makes dual-band routers better equipped for enterprise use than single-band. Some dual-band routers have features older models won’t. For instance, most dual-band support MU-MIMO technology. That feature improves how Wi-Fi interacts with various devices. Routers without MU-MIMO can only interchange with a single device at a time. Tri-Band routers have the capability of multiple Gigabit speeds. On the 5 GHz band, they are capable of upwards of 4,000 Gbps. The Tri-Band refers to their unique features: one 2.4 GHz band plus two 5 GHz bands. When using automated features, tri-band routers direct devices over to the 5 GHz band. Since they have 5 GHz of data, tri-band routers reduce signal interference significantly more than dual-band devices. That makes tri-band routers more efficient for environments with various connected 5 GHz devices. A network of interlocked routers (called points or nodes) is called a mesh network. The nodes operate together to supply internet coverage over a vast area. A mesh network consists of various routers, each providing coverage, but remains a single network communicating with nodes nearby. A mesh network will deliver internet access anywhere the nodes can reach, like through a three-story house, an office building or even across several city blocks. Having a mesh network means the coverage exceeds what a single router can provide. Buying a wireless router that is easy to configure and delivers stable WiFi may be challenging. Especially when it’s your first time purchasing the device. When you search online, you’ll discover there are hundreds of routers to choose from. To make matters worse, some manufacturers and distributors prefer to describe their equipment using technical terms or acronyms. Many users can find this confusing. To help you decide, below are the five common router features to look for, their definitions and how each gets used. Quality of Service (QoS) is the measurement or description of the overall performance of a service. QoS is also a feature of switches and routers. They prioritize traffic allowing significant traffic to pass first. That action improves performance for critical network traffic. QoS equipment is useful with VoIP phones or in LANs with high volumes of local traffic. It is particularly crucial for the transport of traffic with special requirements. Quality of Service varies by the switch. VLANs (virtual LANs) address issues such as network management, security and scalability. Network architects set up VLANs to provide network segmentation. Routers between VLANs filter broadcast traffic, mitigate network congestion, perform address summarization and enhance network security. In a Local Area Network (LAN) environment, virtual LANs split broadcast domains. When one VLAN must communicate with another VLAN, the traffic gets routed between them. That type of routing is called inter-VLAN routing. On a smart switch, you can set up inter-VLAN routing by creating a Layer 3 interface known as a switch virtual interface (SVI). A dual-band frequency operates on two bands: 2.4GHz and 5GHz. With Dual-Band support, speeds can go up to 450Mbps at 2.4GHz and 1300 Mbps at 5GHz. Tri-Band frequency operates on three bands: a 2.4GHz band and two 5GHz bands. Tri-band frequency reduces signal interference significantly more than dual-band devices. It also results in the clearest calls and best VoIP service because of its high bandwidth. 802.11ac is a wireless LAN technology that represents a significant performance increase. This technology provides the fastest wireless connectivity speeds. MU-MIMO stands for “multiuser-multiple input, multiple output” and is a brand new feature. It supports environments where many users are trying to access a wireless network at the same time. The use of an MU-MIMO allows users to share a device without experiencing reduced speeds. H.323 is a binary-based standard developed to support rich-media communications over IP networks. It initially focused on video conferencing but now includes audio and video conferencing. The Internet Engineering Task Force developed SIP. It sets up a session between two points and is a flexible component of internet architecture. Unlike H.323, SIP’s initial focus was voice communications, rather than video. However, it was expanded to include video, application sharing, presence, instant messaging and other common communications applications. Some factors can change depending on firmware and hardware. Network architecture can also play a role. However, if you had to choose a “winner” from this list it would be the SonicWall TZ series. It works well and includes easy-to-setup configurations. Of course, everyone may have preferences of their own or choices based on their network layout and requirements. In order to offer the highest quality business communications and business VoIP quality, you will want a fast, reliable wireless router. If you are working with sensitive information you will also want to choose a router with reliable security features. One of the best VoIP routers from this list are sure to meet any special needs you have.